Set up your Honeywell Wi‑Fi Thermostat using the Total Connect Comfort app on your iOS or Android device. During the setup process Harmony will automatically scan your home network searching for connected Honeywell devices. If your Honeywell Thermostat is not detected, ensure it's powered on and connected to the same Wi‑Fi network as your Harmony hub. Only Harmony Hub and Harmony hub‑based products have access to the Harmony mobile app. Select HOME CONTROL then HONEYWELL WI-FI THERMOSTAT. Follow the on screen instructions to pair and sign in to your Honeywell account. You will be prompted to connect your Harmony to your computer with the provided USB cable. Harmony will scan your home Wi‑Fi network for devices. Ensure both your Panasonic Smart TV and Harmony Hub are on the same Wi‑Fi network. 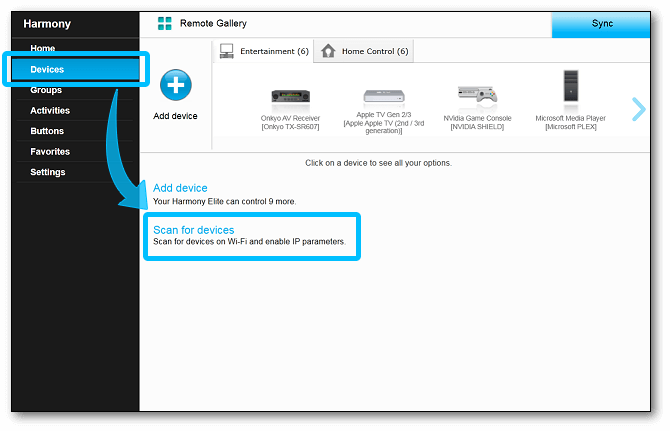 Once setup is complete, you will be able to control the functions below via the Harmony App or on the Harmony Ultimate Home controller. 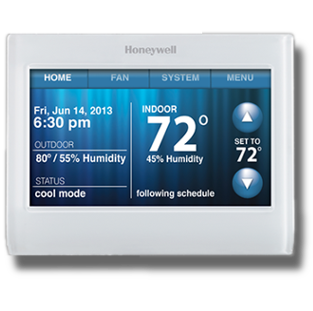 Select the Honeywell Wi‑Fi Thermostat. From the Honeywell Wi‑Fi Thermostat device screen, tap and hold the target temperature until a vertical line appears. Then, slide your thumb/finger left or right to set a new target temperature. Or, directly on the Devices screen in the Harmony App, tap and hold the Honeywell Wi‑Fi Thermostat line until the vertical line appears. Then, slide your thumb/finger left or right to set a new target temperature. Within the Harmony App, you can also include the Honeywell Wi‑Fi Thermostat as part of a Harmony Activity, and automatically set the target temperature whenever you start the activity. Harmony communicates with the Honeywell cloud using your Wi‑Fi network. Honeywell and Harmony require a constant internet connection in order for them to communicate with one another.